Cleaner, leaner whey protein; faster absorbing too. Mixes easily and tastes great. Less fat and further lactose reduced - then fortified with lactase, the enzyme that breaks down lactose, for the best digestion. Fortified with patented Aminogen enzyme for increased protein utilization. Extra rich in glutamine and BCAAs. 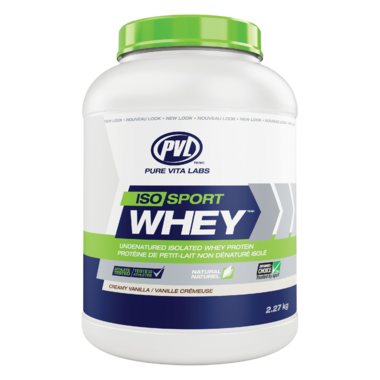 100% Tested Pure, Undenatured, Cold-Processed, Cross Flow Microfiltered Whey Protein Isolate, Cocoa, Natural Flavours, Stevia Leaf, Lactose Reducing Enzyme (Lactase), Protein Digestive Enzymes (Proteases I and I from Aminogen®), Dairy-free Probiotics (Lactobacillus Fermentum), <1% Lecithin (used during Whey Instantization), Potassium (Citrate).